Nitzer Ebb will perform during this year’s edition of the Folsom Street Fair in San Francisco. Showtime is Sunday, September 26, 5:05 PM at 12th Street Stage. Born in Chelmsford, Essex, England – today Mr. Bon Harris celebrate his 45th birthday. Happy Birthday Bon. 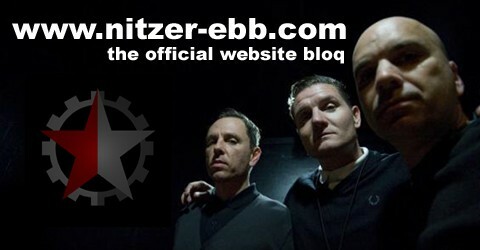 Nitzer-Ebb.com wishes much health and furthermore much success with your current plans and future projects. Please feel free to leave a Birthday greeting to Bon on Nitzer Ebb Facebook Site.